Virtual Reality and Augmented Reality have been proving their worth in every field. 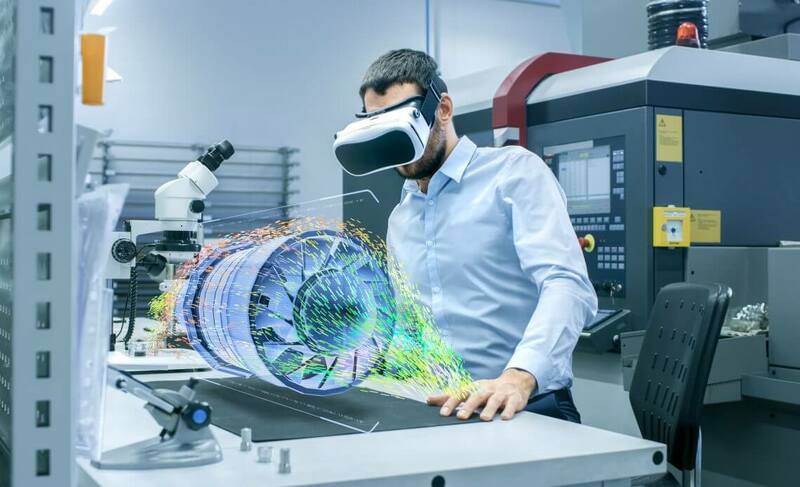 Both VR and AR are vigorously making their way into workplaces, classrooms, hospitals and institutes for fulfilling the needs of training and development among much more. The companies are incorporating these technologies to saving their financial resources and time at the same time. There was a time when VR and AR were expensive and were not very popular among the companies. With the passage of time, businesses have developed their own VR systems to enhance their employees’ productivity. Here we are going to share three important ways of using AR and VR that will save companies millions. Virtual reality is a tool useful for conducting dangerous experiments and tough tasks. Real-time simulation helps the employees to circumvent the mishaps that otherwise would be unavoidable. VR and AR are helping organizations to save both time and financial resources when it comes to conducting long-distance employee meetings and trainings. By using VR and AR, companies are giving training without the employees being physically present on the venue hence saving a good chunk of the company’s budget. It is commonly observed that under-skilled technical employees cause serious threats to the companies. However, with the help of VR and AR technology, providing the employees with the necessary skills save both the time and money. This method has proven very useful the companies for retaining the employees and also giving them training without utilizing the actual resources. VR and AR are greatly impacting the ways of how organizations work. They are incorporating new technology effectively for increasing the efficiency of their employees.